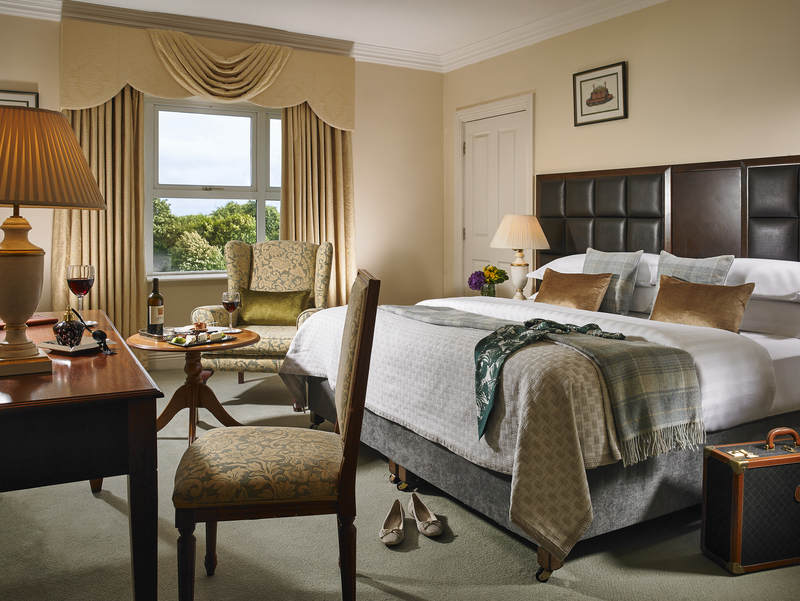 Surrounded by a stunning parkland championship golf course, operated independently, Hotel Woodstock is situated between Limerick and Galway in 155 acres of beautiful countryside, 2km from Ennis town. 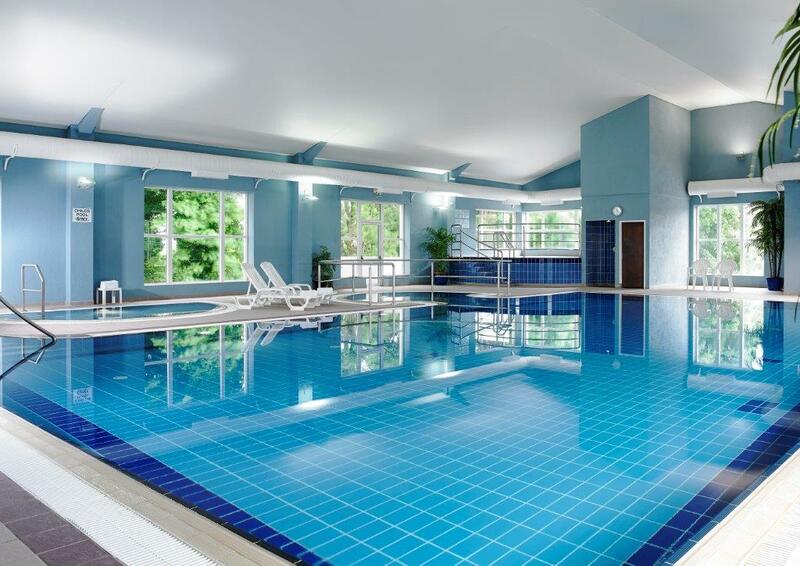 At Hotel Woodstock our leisure centre is now open and complimentary use of our leisure facilities available to all guests. Very good hotel and excellent leisure facilities provided. Overall a very enjoyable experience and room provided was quite adequate, equipped with power shower and coffee and tea making facilities. Breakfast was a bit 'hit and miss' however, with some of the cooked foods often tepid at best. The food in the restaurant was fine (perhaps a bit overpriced). Would return and recommend overall. Fabulous friendly homely hotel, Great Staff and great food., Lovely Rooms.Will Be Back! Great family run hotel. Staff make you feel at home on arrival, and nothing is too much bother. Makes a welcome change from chain hotels. Staff and owners seem to take great pride in making your stay as good as possible. Thank you for a lovely few days. Nice, clean and friendly Hotel with good leisure facilities and very comfortable beds. Staff are very polite and always willing to assist. Only minor downside is the location. It wasn't much of an issue for us, but it is slightly away from the town of Ennis and might be an issue for some. Overall though we had a lovely short stay at Woodstock Hotel and would visit again. We arrived at the hotel on Friday night to a blazing wood fire and the friendliest of reception staff, even allowing for the fact that they had an awards night in the bar. Our rooms were spacious and airy and in true Cork Fashion, we then headed to the bar, which was just great. the food was delivered with a smile and every staff member had time to have a few words. Then off to the room. Breakfast on Saturday was everything you could wish for and my coeliac fiends you will find that there is no problem at all. From Valerie in the Restaurant to Elaine & Sean the owners who checked to ensure that four Cork women did not get lost the weekend just flew and sure did they arrange to have the musician play the Cork National Anthem (what more could you ask for) Then it was time for us to depart. It is impossible to single out any one person but I have to mention , Rachel on the front desk when we arrived, Julianne who had the patience of a saint when we kept wiping our cards by putting them in with our mobile phones to the girls on the corridor charged with keeping the rooms clean. It would be hard to find fault with this hotel from any perspective. It was the perfect setting for our reunion. Will we be back again WITHOUT A DOUBT. Very nice Hotel Very nice Staff Good location . Plenty Parking Spaces. Swimming Pool and Staff helping out there 100% the very best. Breakfast vey nice. good Staff 100% to all. The only Problem was the Dinner 2hrs for 2.Course We did not have Tea or Coffee it took so long not nice for me after Working that Morning and then Journey of 3 hrs that was the only Problem the Evening ( Sunday ). I will return again . My wife, 2 pre-teen kids and I are just back from a very enjoyable 3-night stay at Hotel Woodstock. Staff: 5/5 From check-in to check-out the staff were warm, smiling, helpful and professional Room: 5/5 Our room was warm, comfortable, clean, and well-maintained. Food: 4/5 Breakfast was nothing special, but had all the components expected of a hotel of this quality. We did not eat in the restaurant, however the bar-food was pretty good. Leisure Center: 3/5 In the pool area, the pool itself was great, a nice temperature, clean, and had a nice relaxed atmosphere. The only let-down, and my only really negative comments for our whole stay, were the spa facilities. On the Friday afternoon, when we arrived, the hot-tub water looked, smelled, and tasted (eewww) dirty. (My son described it best, if a little overly graphic, when he said it was like "human juice"). Thankfully, for Saturday-through-Monday the water quality was a lot better. The steam-room was fine, 'though on the Monday morning I could sense a nice menthol aroma, which if it is always supposed to be there, was missing the previous days. The sauna...far too hot...and up to 20C hotter than the max the hotel staff stated it should be. I am a sauna fan...LOVE them...however, I was beyond disappointed at the temperature of the one here...which was only bearable if I left the door wide open (which I did!) When I mentioned to the staff, on Saturday, that the temperature seemed high (it literally hurt my lips and nostrils to breathe in), and asked what it should be set at, I was told "between 90C and 100C". I replied that the thermometer showed 115C, to which he responded that "someone must have turned it up", and he ostensibly turned the temp. dial down. The next afternoon, I tried the sauna again, and the thermometer dial showed 120C!!! When I mentioned it to that day's staff-member I was told "Aw, it's been like that since I started here, we can't control the temperature. Sometimes it's low, like 70C, sometimes high". Acceptable? Not to me In summary, the hotel was great, and we had a lovely long-weekend break...however, the leisure center let the overall rating down, and needs improvement fro this to really be a 4* hotel experience. Had a lovely stay in the Woodstock Hotel. 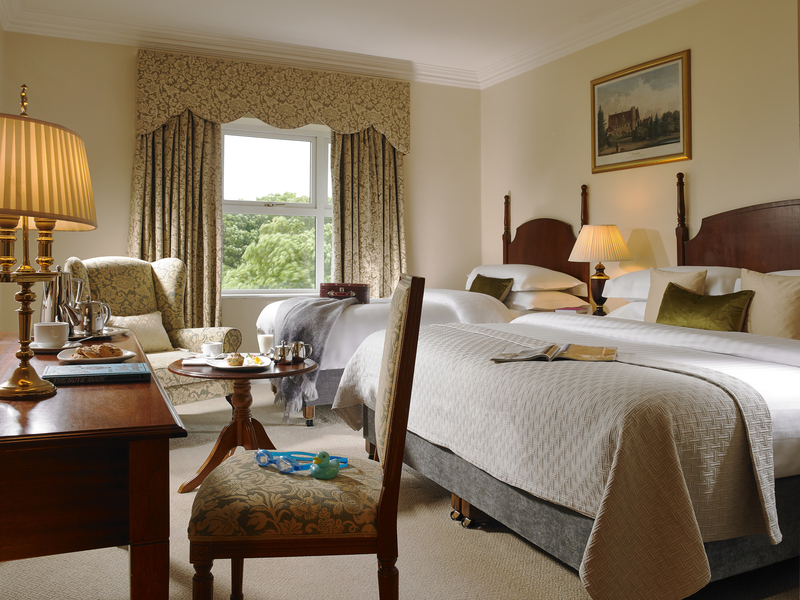 Staff were very helpful and made sure that our stay was an enjoyable one. Would definitely stay there again. excellent value for money. Only complaint is the bar which is set up as a restaurant in the evening with no seating except high bar stools for people who just want a drink. I stayed here for a 2 night break with 3 friends. We were made feel very welcome both by the staff & the hotel owner. Food was excellent & the spacious reception area had a lovely log fire & cosy couches for evening relaxation. My wife and 2 kids recently stayed there on a 3 night stay. We found the staff to be very friendly and welcoming. The food was also to our satisfaction. Its location was very central to may of the attractions in the area; such as the Cliffs of Moher and Bunratty. Recently stayed here for two nights. The hotel itself was nice. Would I rate it as 4 star, don't think so. The staff were very friendly and helpful. The pool area was nice. Separate kids pool was great for the younger children. The bedroom was ok, spacious enough for a family room but nothing you wouldn't get in a 3 star hotel. The hotel menu wasn't great. Bar menu was way overpriced. Had to return food as chicken was still pink and chips were freezing. Hotel is about 10mins from Ennis and no other restaurants/bars in area so unless you're willing to travel out you are stuck for choice for food. Great two night family stay over the June bank holiday weekend. Friendly staff, good size room, great variety at breakfast and nice leisure facilities. Would definitely recommend. Excellent hotel experience. Staff are very friendly and professional. Food including breakfast could not be faulted. Service very efficient. Rooms are modern and very comfortable. Would definitely stay here again. Delightful Hotel with very good leisure facilities. The room was spacious and very clean. Every requirement was there. The hotel staff were courteous pleasant and very helpful. Lovely Hotel, Delicious dinner and breakfast,Very nice staff ! well recommended! Lovely hotel.Staff very friendly and professional. Rooms were spotless, beds very comfortable. The breakfast and dinner were both excellent. lovely hotel in lovely location. Food only beautiful breakfast and dinner and plenty of everything. Staff very nice and friendly. Rooms nice and clean and loads of toiliteries.good music in bar.one guy and he had everyone up dancing. I'd recommend this hotel. Not within walking distance of town.the bunker bar do a lovely pint and they even have coors on draught. Shane the bar man ,nice fella. Didn't use leisure centre so can't comment on it.for a chilled out relaxing break give this hotel a try. We had a great stay in the Woodstock hotel.Before we arrived I had checked out the hotel on trip adviser, I saw some photos of one of the rooms, they were not good. I was worried about this as I was bringing some friends from Canada with me, But I was pleasantly surprised as the hotel was really nice. The rooms were spotless, and all the staff were very friendly.The food was very good. I would recommend this hotel. Also my friends said they would tell their friends about it. we are looking forward to returning in the future. We had a lovely stay at Woodstock Hotel.Pleasant staff , clean and comfortable room. Children loved the pool. Just returned from a great stay at the Hotel Woodstock. We were a large party who gathered there for a family celebration. The staff were extremely friendly and efficient, breakfast was nice and both the food and atmosphere in the bar were great. The children loved the pool. Would definitely recommend it and look forward to our return. Hi while we really enjoyed our stay at the Woodstock Hotel we would like to point out that all the bread that was left in the large basket for making toast at the breakfast buffet was mouldy! W e did point this out and the basket was taken away but at this stage most people had already eaten. They could check on their housekeeping staff as we had to go looking for loo rolls for our room and all clothes were left on floor after they made beds. Cannot fault leisure facilities,spotless clean and staff their very nice. Nice hotel with Good staff. Nice leisure centre. . Hotel needs to be upgraded to a 4 star though in parts. More like a 3 Star but great potential to be stunning . My daughter and I thoroughly enjoyed our recent stay in the Woodstock. It was most convenient for Ennis itself and visiting the Burren and the Cliffs of Moher. Friendly helpful staff, lovely wholesome food and a nice leisure centre to boot! Nice relaxing hotel.Room very clean,staff nice and thanks for the Easter egg they gave my son when leaving .Lovely to see open fire in lobby. Just a note on the area out side golf shop was litter with cigarette butts could do with some attention, but over all very good. Ann from Waterford March 2016. Hotel is very nice with clean, spacious rooms. Dinner was very good as was breakfast. It was a very good rate and good value because we only booked a few hours before checking in. Only disappointment for me was the steam room was not working which I was looking forward to as I'm recovering from a chest infection and was looking forward to a bit of steaming! One other problem is we did find it difficult to find the hotel so more signs on approach to Ennis would be helpful. warm, comfortable and relaxing. Room very clean. Breakfast well cooked and satisfying. Pool and pool area functional yet a little industrial. Overall, just what we needed for an overnight recharge. Lovely relaxing Hotel . Bar food very good ; breakfast very good. Restaurant food not so good . Rooms adequate ; clean hotel ; clean pool area ., a very enjoyable stay . Homely atmosphere . Beautiful Hotel. Lovely pool and great breakfast Would stay again.